More recent studies have indicated that many people with B.M.I. levels at the low end of normal are less healthy than those now considered overweight. And some people who are overly fat according to their B.M.I. are just as healthy as those considered to be of normal weight, as discussed in a new book, “The Obesity Paradox,” by Dr. Carl J. Lavie, a cardiologist in New Orleans, and Kristin Loberg. Unlike readings on a scale, B.M.I. is based on a person’s weight in relation to his height. It is calculated by dividing weight in kilograms by height in meters squared (or, for those not metric-savvy, weight in pounds divided by height in inches squared and the result multiplied by 703). According to current criteria, those with a B.M.I. below 18.5 are underweight; those between 18.5 and 24.9 are normal; those between 25 to 29.9 are overweight; and those 30 and higher are obese. The obese are further divided into three grades: Grade 1, in which B.M.I. is 30 to 34.9; Grade 2, 35 to 39.9; Grade 3, 40 and higher. Before you contemplate a crash diet because your B.M.I. classifies you as overweight, consider what the index really represents and what is now known about its relationship to health and longevity. The index was devised in the 1830s from measurements in men by a Belgian statistician interested in human growth. More than a century later, it was adopted by insurers and some researchers studying the distribution of obesity in the general population. Though never meant to be an individual assessment, only a way to talk about weight in large populations, B.M.I. gradually was adopted as an easy and inexpensive way for doctors to assess weight in their patients. At best, though, B.M.I. is a crude measure that “actually misses more than half of people with excess body fat,” Geoffrey Kabat, an epidemiologist at the Albert Einstein College of Medicine, has noted. Someone with a “normal” B.M.I. can still be overly fat internally and prone to obesity-related ills. Remember that conversation we had about “normal weight obesity?” I get the feeling that this is what that phrase was trying to convey – a person who has a “normal” or “underweight” reading on the BMI, but a high body fat percentage. In other words, a high presence of fat, a little presence of muscle. Calling B.M.I. an imperfect predictor of a person’s health risks, the Centers for Disease Control and Prevention cautions doctors against using it as a diagnostic tool. …which is funny, considering how they still use it. I digress. For one thing, body weight is made up of muscle, bone and water, as well as body fat. B.M.I. alone is at best an imprecise measure of how fat a person may be. 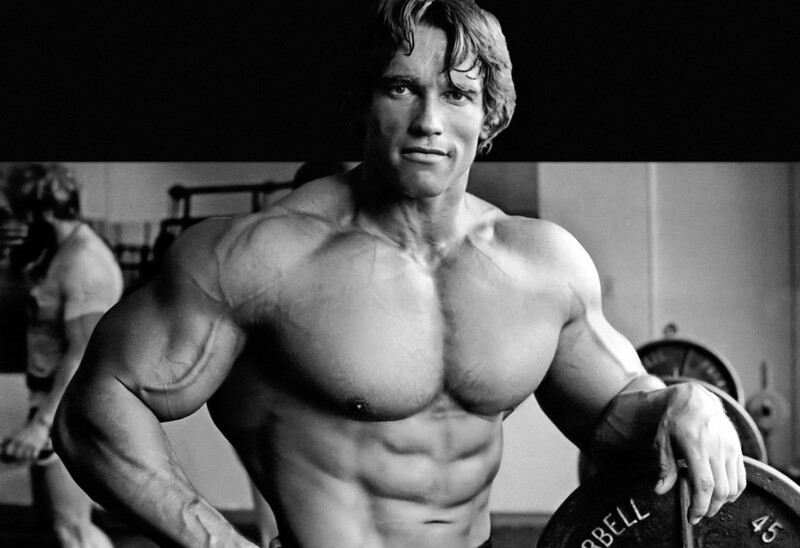 When Arnold Schwarzenegger was Mr. Universe, his B.M.I. was well in the obese range, yet he was hardly fat. Another problem: the distribution of excess body fat makes a big difference to health. Those with lots of abdominal fat, which is metabolically active, are prone to developing insulin resistance, elevated blood lipids, high blood pressure, diabetes, premature cardiovascular disease, and an increased risk of erectile dysfunction and Alzheimer’s disease. But fat carried in the hips, buttocks or thighs is relatively inert; while it may be cosmetically undesirable, it is not linked to chronic disease or early death. While I could’ve done without the “cosmetically undesirable” bit, I think this is an important point. The context of the body mass is far more important than the sheer amount of mass itself, and understanding that is the first step to realizing that the scale doesn’t have as much value as we’ve been led to believe when it comes to health. When it comes down to it, a lot of what most of us need – muscle – will cause many of us to actually gain weight, but experience improved qualities of life. I think most doctors are ‘concerned’ that, if we get rid of the BMI as a legitimate metric, we’ll have nothing to replace it with. I don’t think that’s entirely accurate, either. We can easily replace the BMI with calipers and body fat percentage scales as a more accurate provider of physical context. Sure, doctors might have to learn a little more about the body that simply plotting you on a chart, but it’d be for the best for everyone. On average, women have a higher percentage of body fat in relation to total weight than do men, but this does not necessarily raise their health risks. And African-Americans, who tend have heavier bones and weigh more than Caucasians, face a lower risk to health even with a B.M.I. in the overweight range. I’ve never seen this quantified – in research, anything, anywhere – and considering the vast array of combinations that “black” comes in as far as what contributes to genetic makeup, I’m starting to grow skeptical of any research that mentions race without specific genetic data. With all due respect, self-reporting (no matter if it’s of your food intake or your race) doesn’t cut it in scientific data. That being said, the article goes on to tell you more things I’ve already told you, and some things I’m going to tell you again. Most people don’t set out on weight loss journeys to hit a certain number – they set out to look a certain way, and then think a certain number is going to get them there. People often say, “I need to lose [insert body part] fat,” and then presume that losing 15lbs will make the difference, so they subtract 15lbs from whatever they currently weigh. Rarely is it that easy. What oftentimes happens is people rush to do tons of cardio, wind up losing what little muscle they may have, and find not only their body fat percentage going up but the metabolism going down much faster than it would if they were merely losing fat. Furthermore, it prevents our thinner friends from getting adequate health and fitness information for themselves, because the assumption is that they don’t need it – they’re thin, so whatever they’re doing must be okay. What it all basically amounts to is… we’re worse off for focusing on the damn scale than we otherwise might’ve been. Yay. I don’t blog this stuff as a way of saying “Hey, you shouldn’t care what you weigh! Go splurge on a cheesecake! YOLO!” I write about it because – while, yes, I believe you should be able to choose freely what you do with your body, but I also believe that if you choose to change your body, then you should do so with information that is as accurate as possible. Relying on a metric that wasn’t even built for the ways we use it, for example, isn’t ideal. Thanks for sharing! I’ve always heard the BMI tool is not entirely accurate, especially regarding African American people. Personally, I focus on dynamic exercise to keep my weight down/level, while I get my eating on point.